Sony's handheld device might not be brimming with support and popularity, but it's definitely a solid piece of hardware. Here are some buyer's tips when it comes to the Vita. DO buy them a Vita. If you want to win the holiday and feel like you're sticking it to Apple, you'll give a Vita AND a 3DS. Portable gaming bliss. 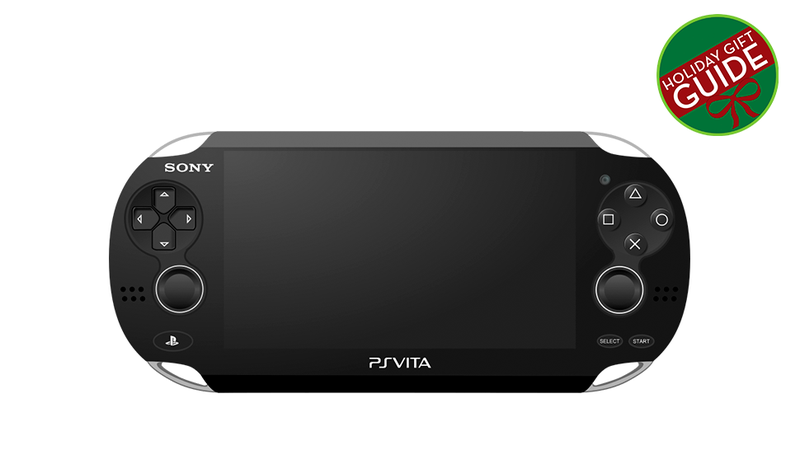 The Vita wasn't so essential a gift a year ago, but now the powerful Sony handheld costs just $200 and has a rich library of games: the innovative Tearaway, the beloved Persona 4 Golden, the delightful indies Thomas Was Alone and Rymdkapsel, the quality corporate creations Assassin's Creed: Liberation and Batman: Arkham Origins: Blackgate. DO consider buying them a Vita if they already have a 3DS, since there's relatively little overlap between the two system's line-ups. The systems' lists of best games have very little overlap. If you have to choose between one or the other, that's...well, that's a shame. If they like Pokémon, Mario, Zelda or any other Nintendo franchises, get them a 3DS. If they don't, probably go for Vita. If they like Japanese role-playing games, uh, send an e-mail to jason@kotaku.com and he'll render a verdict. DO buy Tearaway. It's one of the best Vita games out there, partially because of how charming it is and partially because of how well it uses the hardware-specific touch controls. You can take selfies and the protagonist will look up and interact with you as an image of yourself is projected into the game's sun. One of the more delightful experiences of this year. But if that might not be their cup of tea, try any one of these. DO buy PlayStation Store cash cards to be used on the PS1 Classics and PSP sections on the PlayStation Store. If you're not using the Vita to play classic games, you're not using it right. DO buy a 32GB SD card for the Vita owner you know. They're not as expensive as they once were, but they're still kinda pricy, and the sort of thing that a Vita owner might not buy for him/herself but would be happy to have. Just make sure you pick up the Vita's proprietary card, not just any ol' thing off Amazon. DO purchase a screen protector/film, cause that Vita's got a gorgeous but unprotected face.